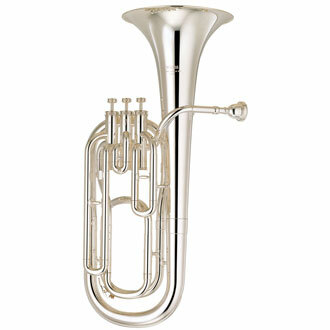 The Baritone is essentially just a more compact version of the Euphonium, which sounds a little closer to a trombone. The Euphonium is for most students, the easiest brass instrument to play. It’s sound is deep, rich and warm. Euphonium is in the Conical / Non-directional Brass Family, along with French Horn and Tuba. This family provides the warmth and depth in a band sound. The Euphonium can be a little confusing as there are multiple names and a variety of different looking designs. They all play the same part role in Band Music. The Baritone Horn is smaller and more compact, but has the same length of tubing. 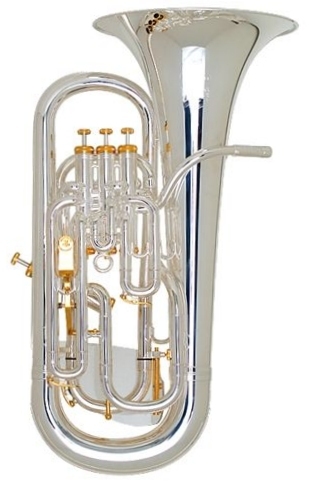 Intermediate and Professional Euphoniums usually have a 4th valve.